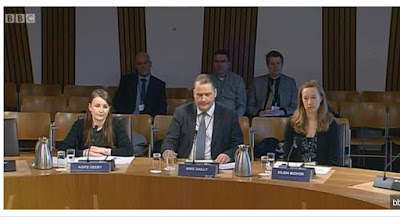 On 28 March 2019, representatives of Govan Law Centre gave evidence to the Scottish Parliament's Social Security Committee alongside Shelter Scotland and Living Rent Edinburgh. A video of of the evidence session is available on the Scottish Parliament's website here. The Official Report of the meeting is available here (opens as a PDF). 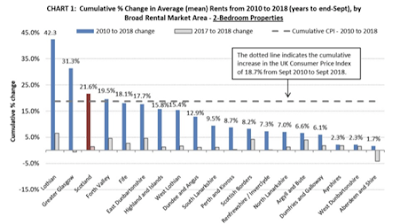 Rents in Glasgow and Edinburgh’s private rented sector (PRS) have risen more than anywhere else in Scotland, and Govan Law Centre (GLC) believes spiralling rent costs are leading to more homelessness and poverty. We believe the story beneath the Scottish Government’s official statistics is stark, and deeply worrying. 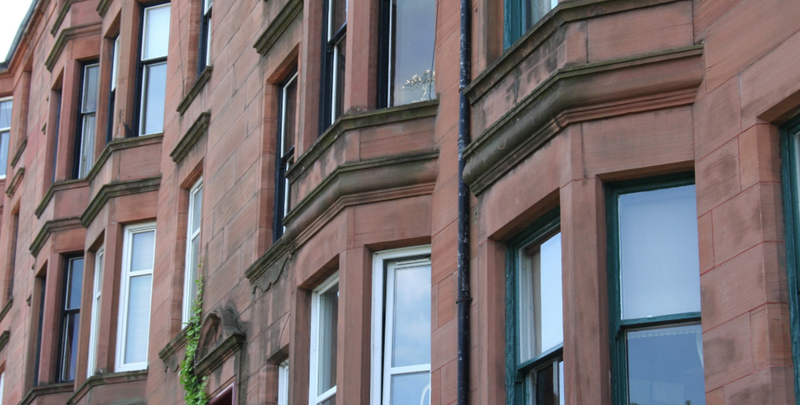 Casework from GLC’s Citywide Private Rented Sector service in Glasgow reveals how many private landlords aren’t following the legal protections in place for rent increases. Some tenants end up paying for the repairs their landlords are obliged by law to carry out. Many vulnerable tenants are being pushed into financial hardship and misery, and being forced to live below “the breadline” and rely on foodbanks to make ends meet. In Glasgow, private rents have been hiked up by almost one third between 2010 and 2018 (31.13%) - almost double the rate of inflation (the consumer price index rose by a total of 18.7% over the last eight years - see further Chart 1 below). GLC’s PRS Co-ordinator Wendy Malloy said: “We can evidence that rent increases being implemented during lets are having a serious impact on household financial sustainability, and increasing the risk of homelessness. A lot of the time these increases are being done without proper legal notice being served and with tenants simply accepting they have to pay”. “We are seeing many households struggle with arrears and we are providing legal advice and representation in these circumstances. We believe this highlights the need to get the message out to people that there is a formal process in place for increasing rents and mechanisms to appeal should the tenant disagree with the proposed increase. Always seek free advice from your local law centre or advice agency”. GLC’s Principal Solicitor Mike Dailly said: “Our casework provides cogent evidence of unlawful rent hikes across the City by private landlords. One of our clients is a disabled single parent whose landlord increased her rent by 43% during one month to £1,500 p.m. The housing benefit ‘local housing allowance’ was only £800 p.m. Other clients already struggling to make up housing benefit shortfalls have been trying to cope with rent increases of around £100 p.m. Tenants can apply for discretionary housing payments to help, but these are generally temporary. In practice, many tenants are meeting rent hikes by using their social security money for food and heating costs”. “There is clearly a need for greater public awareness that rent hikes require formal written notice and must comply with certain legal procedures to be valid. There is always a right to appeal, although the law on market rents tends to favour private landlords. 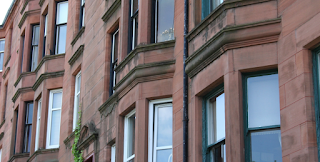 Govan Law Centre believes the private rented sector remains largely unregulated and in practice is too often a free-for-all for landlords out to squeeze as much money as they can from a tenant with limited options”. “For low income tenants there is no consumer choice or genuine market competition in this sector. We believe there is a case for national regulation - there is no national regulation at present unlike for the social rented sector. There is a need for a ‘living rent’ in this dysfunctional market, and strengthening the rights of private sector tenants in Scotland. The present system is unsustainable and is costing the taxpayer in terms of the social, human, and medical problems it creates”. Mrs J is a widowed woman with 3 adult children living in private rented property. Mrs J’s has a number of health problems and her own income derives from sickness and disability benefits. Mrs J’s also has an entitlement to housing benefit of £800 per month which was capped at the maximum level of local housing allowance. The client with the assistance of her family were able to pay the difference of £250 towards the contractual rent of £1,050 each month. Mrs J’s landlord came to the clients home to advise that he was increasing the rent to £1,500 each month and that this was to be effective from the next date rent was due. Govan Law Centre were able to advise that this increase had not been intimated to her in the prescribed form and insufficient notice had been given and also advised this to the landlord. A few months on from this her landlord returned and provided the correct intimation and notice which meant there was to be an increase of £450 per month towards the rent. Mrs J and her family were unable to afford this increase despite significant reductions in their household spending. As a result of this increase Mrs J and her family had to make an application for Homelessness on the basis that their rent was unaffordable and can no longer sustain their tenancy. Mr K is a single man living in private rented property. Mr K has lived in the property for over 12 years. Due to poor mental health Mr K has been unable to work throughout the period of his tenancy. Mr K’s housing benefit was capped at the maximum local housing allowance for the property but only had to pay a few pounds from his Employment Support Allowance to meet the contractual rent. At the start of the year his landlord advised that the level of rent was to be increased by £91 per month. Mr K has had some assistance with Discretionary Housing Payment to help meet this increase however due to the nature of the award this was only a short term award. 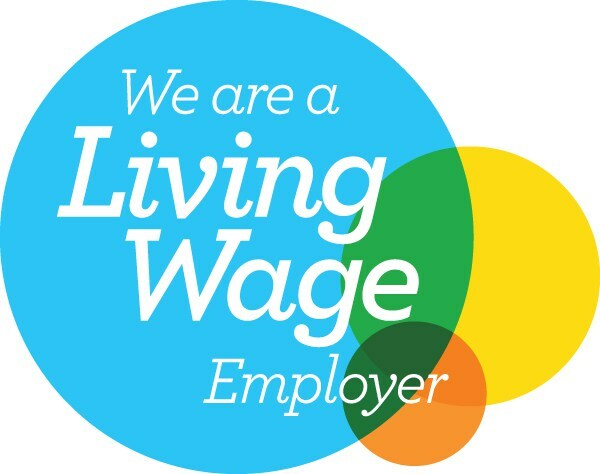 Mr K started further utilising his Employment & Support Allowance to help cover the shortfall but this has meant he has had to cut back significantly on essential expenditure such as food, heating and lighting. Mr K was unable to sustain these cut backs and as such his rent has become affordable. Mr K is now currently looking to move into Registered Social Landlord housing stock but due to the level of housing stock available has yet to find suitable alternative accommodation. As a consequence Mr K has accrued arrears to the value of the monthly rental shortfall. Ms B is a single parent to two boys and lives in private rented accommodation. Ms B works full time, so was paying rent herself until the landlord increased this from £650 to £750 pcm. As the property was also suffering disrepair and dampness, Ms B’s income was being used to provide additional heating and fixing repairs the landlord was refusing to do, such as replace a broken window, clean and paint over dampness. When the rent was increased Ms B begun to miss payments and accrued arrears of £1300 and late payments. Ms B has applied for DHP but this was refused. She was now borrowing from family and friends to manage the arrears and pay full rent. 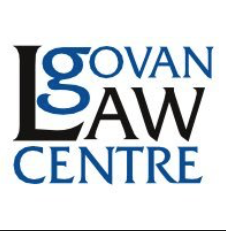 Govan Law Centre were able to report the landlord to Landlord Registration and the Housing and Property Chamber for Scotland and as a consequence a rent relief order and repair enforcement order were granted. Govan Law Centre were also able to ascertain that the rent increase was unlawfully implemented as no rent increase notice had been served. Ms B gave up her private tenancy a few weeks after the enforcement orders were granted to move in with family while seeking social housing. 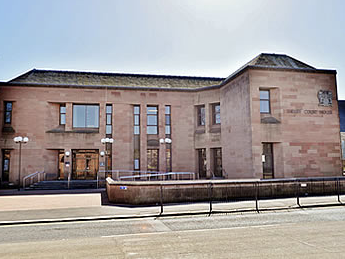 Govan Law Centre has settled a Sheriff Appeal Court (SAC) case where a single female parent and her children were due to be evicted following an unsuccessful evidential hearing (proof) which had been conducted by a private firm of solicitors in Glasgow. Parties have agreed to allow the appeal insofar as it relates to the eviction, while adhering to the payment decree, with the appeal being dismissed on a no expenses basis. The Glasgow Scottish Secure tenant will remain in her home with the threat of physical eviction lifted. The case of Elderpark Housing Association v. M concerned an appeal by way of Stated Case is in relation to a decree for recovery of heritable possession granted by the sheriff in summary cause proceedings in July 2017. The appellant argued that the proceedings were incompetent for the social landlord’s failure to comply with section 14(2)(a) of the Housing (Scotland) Act 2001 (“the 2001 Act”). As a matter of law, the appellant contented that the court was not entitled nor empowered to grant decree in the proceedings. 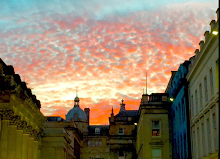 The appellant’s arguments did not require to be tested by the SAC, however, the issues raised may be of interest to housing advisors and solicitors generally. (1) The landlord under a Scottish secure tenancy may raise proceedings by way of summary cause for recovery of possession of the house. (c) the notice is in force at the time when the proceedings are raised”. (c) a person whom the tenant has, with such consent, taken in as a lodger”. “(3) Before serving a notice under subsection (2) the landlord must make such inquiries as may be necessary to establish so far as is reasonably practicable whether there are any qualifying occupiers of the house and, if so, their identities”. The appellant’s submission was that the sheriff was not entitled in law to grant decree in July 2017. Reference was made to the House of Lords decision in Regina v Soneji and another  UKHL 49,  1 AC 340. This opinion considers questions of statutory interpretation in relation to whether a provision is mandatory or directory. The general position has been that where there is a failure to comply with a mandatory statutory provision what then follows is a nullity. Reference was made to Lord Steyn’s judgment starting at page 349, paragraph 14: “A recurrent theme in the drafting of statutes is that Parliament casts its commands in imperative form without expressly spelling out the consequences of a failure to comply”. This approach was consistent with the decision of the Sheriff Principal in North Lanarkshire Council v. Cairns 2012 SLT (Sh Ct) 128. This opinion of the court concerned a qualifying occupier – a tenant’s son - unsuccessfully arguing that he had a right to minute for recall of decree. He was not a “party” to the proceedings. However, the Sheriff Principal held that his Article 6 rights in terms of section 6 and schedule 1 of the Human Rights Act 1998 were safeguarded by the requirement for a NPRP to be served on him in terms of section 14 – reference was made to paragraph 32 at page 10 of the court’s opinion. The qualifying occupier had been served with a NPRP in Cairns, and had the opportunity had he so wished to apply to become a party to the action under section 15 of the 2001 Act. The issue of an NPRP not being served on a qualifying occupier was not pled or argued before the sheriff at first instance. However, the appellant contended that it was pars judicis for the court to consider competency if the issue goes to nullity. This point was recently considered by the Inner House in Simpson v. Downie 2013 SLT 178 – reference was made to paragraph 10: “By reference to Macphail, Sheriff Court Practice (3rd edn), para.2.09, and to the opinion of Lord Young in Douglas v Tait at (1884) 12 R., p.14, it should not be regarded as pars judicis for the court to take a technical point on competency unless either a nullity, or some important external interest, could be identified”. In Simpson the Inner House dismissed the action as incompetent as the issue was one that went to jurisdictional competency. The appellant was represented by GLC’s Mike Dailly, Solicitor Advocate. Following the decision of the Sheriff Appeal Court in NRAM plc v. Cordiner last year, it is generally thought that a homeowner cannot recall a decree by a "Minute for Recall of Decree' where he or she had appeared in court, or been represented. This week, Govan Law Centre (GLC) was able to secure a recall of a mortgage repossession decree despite the homeowner having previously appeared before the sheriff. A summary of the case is set out below. 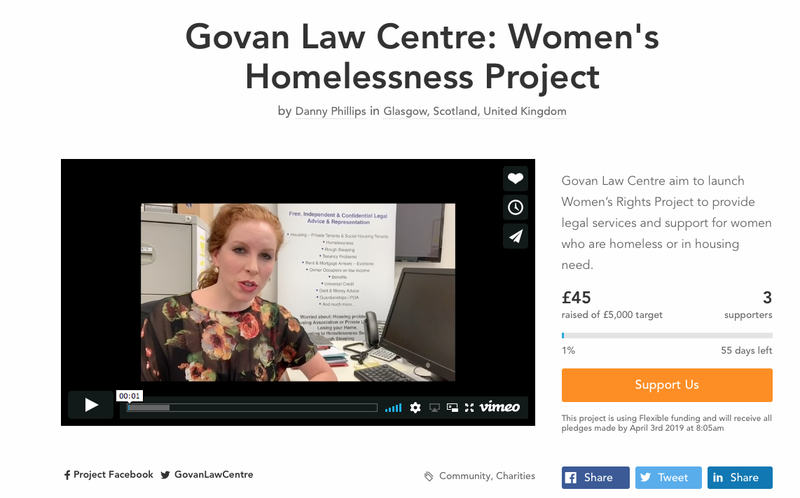 Mr P consulted Govan Law Centre through the Ayrshire Homelessness Prevention Project because his mortgage lender, Santander UK plc, had raised a repossession action against him. His mortgage had matured and the full balance had become due. His lenders had obtained decree for repossession. As a result, Mr P was facing homelessness. Mr P had not attended the first hearing of the case, as his lenders’ solicitors had told him he did not need to, since they would ask for the case to be continued for him to get financial advice. Mr P attended the next hearing of the case personally, and he was given further time again by the Sheriff. Mr P was not aware of the next hearing date, and therefore did not attend. Unfortunately, at this hearing, decree was granted in his absence. Mr P had not been represented in the process, nor put forward any defence. Mr P instructed Govan Law Centre to lodge a Minute for Recall of Decree on his behalf. This was lodged and a hearing was held at Kilmarnock Sheriff Court. The Pursuers opposed the Minute for Recall on the basis of a recent decision of the Sheriff Appeal Court, in NRAM plc v Cordiner (2017) SAC (Civ) 27. They argued that the Minute for Recall was not competent on the basis of this decision. The Sheriff refused the Minute for Recall. In Cordiner, the Defender had lodged defences, been represented at previous hearings, consented to decree, amongst various other procedural stages. On appeal, the Sheriff Appeal Court held that, as the Defender had appeared and been represented in the proceedings, she was prevented from using the recall process. Mr P instructed us to lodge an appeal of the Sheriff’s decision refusing the Minute for Recall on the basis that his case could be distinguished from Cordiner, and on the basis that the Sheriff’s decision was incompatible with his Convention Rights under the European Convention on Human Rights. Additionally, in Cordiner, the court was not persuaded that they required to fully consider the requirement to read down the relevant section of the legislation in line with the European Convention on Human Rights, as the defender had fully engaged in proceedings, having lodged pleadings and been represented in numerous hearings. This was not the case in the present proceedings, and Mr P submitted that the Appeal Court should fully consider these submissions, and read down the legislation to be compliant with his Convention Rights. Before the appeal hearing was due to be heard in his case, Mr P’s lenders agreed to the decree being recalled. The appeal was therefore dropped, and the case referred back to the Sheriff court. There is an evidential hearing fixed. Mr P is proceeding through the Mortgage to Rent Scheme and hopes he will soon be in a position to discharge his liabilities to his lenders, and remain in his home. It certainly would have been beneficial for borrowers in general to have received some clarity from the Appeal Court about the position of Minute for Recalls being lodged in similar circumstances, where no formal defence has previously been tendered and decree in absence is granted. However, this is an extremely good result for Mr P. We urge anyone in similar circumstances to seek urgent legal advice. The defender and appellant was represented by GLC's senior solicitor, Laura Simpson, and Mike Dailly, Solicitor Advocate was instructed in the appellate proceedings. Govanhill Law Centre (GhLC) has prevented the instant eviction of a family of European Union (EU) nationals with four young children by lodging a sheriff court appeal earlier this afternoon seeking the suspension of the eviction. Physical ejection from the property was scheduled to take place tomorrow at 10am in Govanhill. A sheriff at Glasgow Sheriff Court has now issued a court order to temporarily suspend the ejection, in order to give the family time to secure homeless or alternative accommodation. The client had obtained the lease of a privately let flat in Govanhill, paying a deposit and rent, only to discover they had been duped. There is a criminal practice in Glasgow of fraudsters breaking into vacant flats and falsely letting them out to vulnerable low paid EU workers. Our client’s case called in court yesterday on 48 hours notice (instead of the usual 21 days). Our client accepted she would have to leave the flat but asked for a little time to find alternative accommodation. The sheriff refused to do so and granted an immediate extract decree for eviction, and dispensed with the need to serve a charge for removing. The standard practice on decree for eviction is an occupier will have 28 days before eviction by sheriff officers. The client’s solicitor, GhLC’s senior solicitor, Rachel Moon obtained instructions for Govan Law Centre’s Mike Dailly to draft an urgent Note of Appeal today. The Note of Appeal argued that the sheriff’s decree was unlawful as it was a disproportionate interference with the client’s right to respect for her private and family life, and her home, as safeguarded by Article 8 of the European Convention on Human Rights. There had been no proper assessment of the proportionality of the granting of an “instantly enforceable” eviction decree as was required standing European human rights jurisprudence including the case of Kay v. UK (2012) 54 E.H.R.R. Some key facts in the case were in dispute and there was no evidential inquiry. 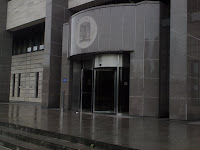 The court had been made aware the family could not obtain homelessness assistance from the local council upon zero notice, given the need to ingather evidence to satisfy the various residency and work tests for eligibility, and would be destitute and homeless without some period of notice. Despite this, the sheriff had granted decree, which would be immediately enforced with no notice. Following the sheriff’s order this afternoon, the family now have an opportunity to secure alternative accommodation with the help of Govanhill Law Centre.